Chau Uong, D.O., is a specialist in Physical Medicine and Rehabilitation with a focus on Interventional Pain Management at Physician Partners of America Texas Pain Relief Group – Keller, Texas. A native of New Orleans, he earned his undergraduate degree in Biology and Sociology at the University of Texas – Dallas. He received his medical degree at the Ohio University Heritage College of Osteopathic Medicine in Athens, Ohio in 2012. After completing a preliminary internship in Internal Medicine at Good Samaritan Hospital in Cincinnati, he completed his residency in Physical Medicine and Rehabilitation at Marianjoy Rehabilitation Hospital in Wheaton, Ill. in 2016. He also served as its chief resident and earned a Spirit Award for going above and beyond in patient care. 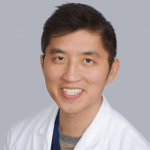 Dr. Uong completed his fellowship in Interventional Pain Management at the National Pain Institute in Winter Park, Fla. in 2017. In addition, he has delivered numerous presentations on case studies at the American Academy of Physical Medicine and Rehabilitation and at the Association of Academic Physiatrists. He is a member of the American Academy of Physical Medicine and Rehabilitation, the American Osteopathic Association, Association of Academic Physiatrists and Spine Intervention Society. Dr. Uong and his wife have three young children. He enjoys everything martial arts-related, swimming, travel, and spending time with his family and friends. His favorite destinations so far include Hawaii, Toronto, Tokyo, Central Europe, and Vietnam. In addition to English, he is somewhat fluent in Vietnamese. Take I-35W heading south. Then take exit 63 that goes toward Heritage Trace Pkwy/N Tarrant Pkwy. Turn left on Heritage Trace Pkwy. The clinic will be on the right after passing Sinclair St.
Take I-35W heading north. Turn right at the Heritage Trace Pkwy exit. The clinic will be on the right after passing Sinclair St.